Derek and Daniel Koch are the dynamic duo behind the big New York brunch hit Day & Night. The brothers started their nightlife careers at the Upper East Side French restaurant Le Bilboquet after graduating from Ohio State University. After bringing the South of France party brunch concept to New York at Merkato 55 the brand Day & Night instantly became known not just around New York City, but around the world. 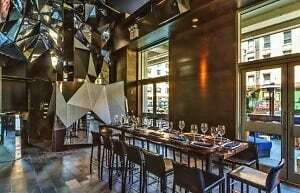 The brunch in New York relocates every season and has been hosted at some of the city's best venues such as the Oak Room at the Plaza and Ajna Bar (formerly Buddha Bar). The Koch brothers have now ventured off into the restaurant business with their first establishment MPD, of which they are no longer affiliated with, and now with their new restaurant Toy. When one thinks of a Meatpacking District restaurant they automatically think of a loud and clubby restaurant that lets the food take a backseat to the atmosphere. While we can't deny that Toy is a showy restaurant that could double as a nightclub, it certainly is one of the more serene restaurants in the neighborhood. Sure you have your elevated DJ booth in the front of the restaurant and the silk screen photo of a tattooed Japanese model wearing headphones is certainly something a bit more "out there" than most other places in the city but for the most part, Toy is a restaurant where you can come in, have dinner or a cocktail and talk with your friends. Don't expect any sparklers, bottle service or table dancing here, for that head to Day & Night brunch at Gurney's Inn in Montauk. The minute I walked into the restaurant I was impressed with how the Koch brothers took the old Tanuki Tavern space and improved the layout tremendously. 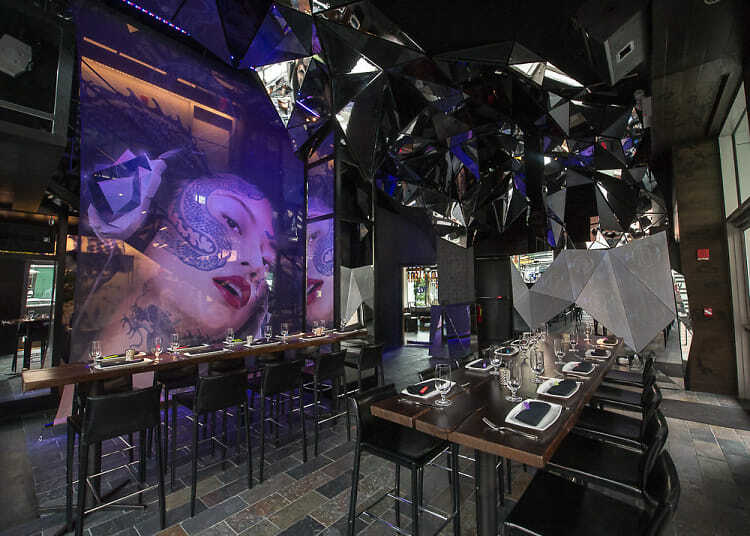 Despite being one of the cheaper options in the Meatpacking, Tanuki Tavern was always known to have a well designed yet awkward space. It was good to see that Toy was able to fix that problem by opening up the back area on the first floor for more tables and putting in two communal tables in the front of the new and sleek restaurant. 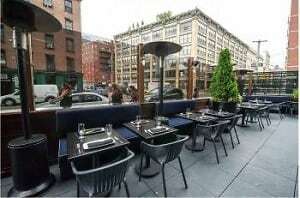 There is also an outdoor patio for those who opt to dine al-fresco in the warmer weather. 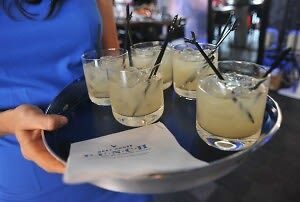 Grey Goose kicked off its Summer Punch program at Toy so of course the cocktails were stellar. Though the Lakeshore Punch (Grey Goose La Poire vodka, red grape juice, lemon juice, whole star anise finished with fresh blueberries, grapes and oranges) seemed to be to be the crowd favorite, I personally preferred the Hamptons Punch (Grey Goose Cherry Noir vodka, fresh squeezed white grapefruit juice, strawberries and basil simple syrup). 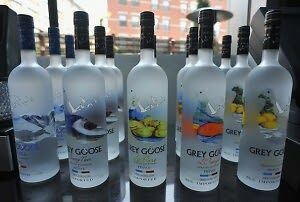 Since Grey Goose is affiliated with the Slow Food movement, all of the ingredients in the cocktails were locally and organically grown. At around 2:45 PM, most of the guests were beginning to be seated for brunch. While guests were offered the regular brunch menu, there was a pre-fixe menu available to those who wanted to sample a little bit of everything. To start there was the French Toast stuffed with Vanilla Mascarpone Cheese followed by the Poached Eggs and Short Rib Hash with a Béarnaise Sauce finishing with the Chinese Chicken Salad with Napa Cabbage, Crispy Wontons and a Citrus Vinaigrette. There was also a bartender going around creating bespoke cocktails infused with Grey Goose vodka and fresh ingredients such as cucumber, strawberries and blueberries. The staff at Toy are very helpful and cordial, not to mention beautiful, but also are excellent at handling food allergies. Guests were able to mingle at the communal table and DJ Cassidy provided the music for the seated brunch. 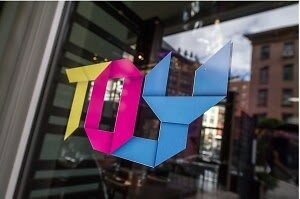 Everyone seemed to have a great time at the opening of brunch at Toy and it is definitely a great option when trying to escape the craziness of the other party brunches in the neighborhood. Be sure to make reservations by calling the restaurant at 212-201-1222 or click HERE for more info!